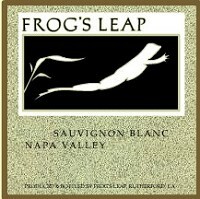 "Our 2006 Sauvignon Blanc was produced from grapes grown in various microclimates of the Napa Valley. The warmer Napa Valley microclimates give us grapes that result in wines with a lush, full melon/citrus character in the aroma and in the flavor. The cooler Napa Valley fruit provides a solid, crisp backbone that gives the wine an exciting liveliness that balances the rich creaminess from "sur lie" aging. The mineral and herb flavors marry nicely with grilled fish or chicken." 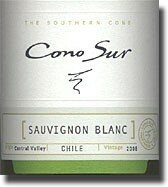 "Our 2006 Sauvignon Blanc greets you with aromas of lemongrass, wet stone and delicate floral notes. This wine’s deep connection to its Rutherford roots is revealed through the subtle flavors of minerality and slate that peer through the citrus and zest tones. Crisp and taut on the palate, this wine’s bright acid makes it bracing and refreshing — a wine of engaging distinctiveness, much like the appellation from which it originates. " "COLOR: Bright and attractive light yellow with hints of straw and green. NOSE: Expressive fresh citrus fruit on entry, followed by sweet hints of white fl owers and delicate notes of lychee and fi g. PALATE: Young and pleasant, with fresh acidity followed by a delicate sweetness and abundant citrus aromas that persist in the palate. Light and elegant. SERVICE AND FOOD PAIRING: Serve chilled as an aperitif. Always the ideal companion for appetizers and seafood, also compliments spicy cuisine. " "Elegant, expressive and dressed in a green-yellow shade of color, this Sauvignon Blanc impressed with its citrus notes of grapefruit and green apple, which mingle in its herbaceous hints. In mouth, its freshness and balance specially stand out. It's a great aperitif." "Tropical fruit aromas give way to refreshing citrus notes, like juicy pink grapefruit, in this fresh and delicate wine with naturally balanced acidity and a supple, soft finish. Food pairings: excellent as an aperitif and ideal companion for fish and seafood." 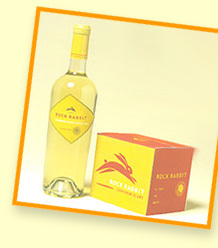 "Rock Rabbit Winery proudly offers a new white wine: A perfect partner to our Syrah, our Rock Rabbit Sauvignon Blanc, also from the Central Coast, salutes summer and is the perfect wine for folks looking for a fresh, crisp, light wine with no oak. Stainless steel fermented and aged, the wine refreshes with bright citrus aromas and flavors. Indeed, it is exactly what Chardonnay is not. It is ideal for family and friends." "Style: Full bodied aromatic dry white wine. Winemaker Description: Pale lemon straw. Lifted aromas of quince, passionfruit, gooseberry, lychee and lemongrass. Rich tropical palate with passionfruit, pawpaw and ripe gooseberry flavours. Elegant soft texture with beautifully fine acidity, excellent length with a mineral finish. Food Match: Char-grilled seafood, white meats, game birds." "Selected from various low yielding vineyards in the Wairau, Brancott, Waihoepai and Awatere valleys, these Sauvignon Blanc grapes were machine harvested and protectively handled. After juice clarification the wine was innoculated with pure, aromatic yeast strains and cool fermented. Once dry the wine was stabilised, filtered and bottled. The wine displays classic Sauvignon characters of gooseberry, passionfruit, figs and a touch of herbaceousness. The palate is full bodied with rich, ripe fruit balanced with crisp acidity. A stylish wine with good fruit intensity. Color: Pale straw with touches of green. Aroma: Classic Sauvignon characters of gooseberry, passionfruit and a touch of African sweetgrass. Palate: Unfolds with flavors of passionfruit, gooseberry and subtle herbaceousness. The wine is mouth filling with good texture and finishes well with crisp acidity and great length. Food Match: A great aperitif. Ideally suited to asparagus, oysters and summer salads. Cellar: A wine to drink now and, with careful cellaring, will last up to five years. Accolades: 91 Points, Wine Spectator, October 2004."